What is it like to track lionfish and document their movements? Roger J. Muller Jr., PADI Digital Underwater Instructor takes us to Cuba and shows us what Cuba looks like underwater and follows their movements. As an informational lionfish hunter, he shows his daughter Taylor Muller, a PADI assistant instructor. How the Cuban waters are overrun by the invasive lionfish. Roger observes the Cuban reef in 2012 which full of tropical fish but other Cuban dive masters there told him that tons of smaller fish have disappeared in the past few years. 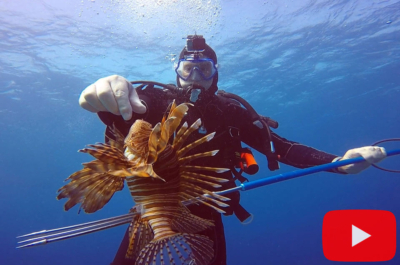 The video shows how that the Lionfish who have no predators in the Caribbean turn towards the camera with their Spines as it gets closer, going into protection mode. When Roger got too close with his video camera, the lionfish actually bumped the camera with their venomous spines. Others took off slowly because again without natural predators, they have nothing to worry about. No fish or animal eats them in the Carribean. 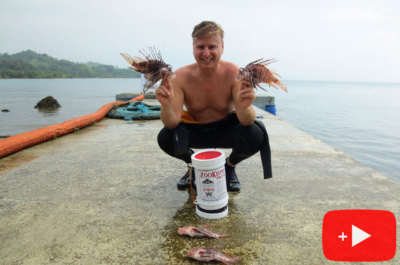 Mr. Muller is hopeful of going back to Cuba to spear lionfish and train Cuban divers how to properly restore them from their waters. 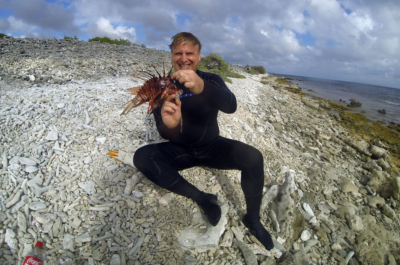 He intends to teach Cuban’s that Lionfish are safe to eat. At the moment, most people are totally scared of them and would not eat them. Even if they were offered a free Lionfish meal! 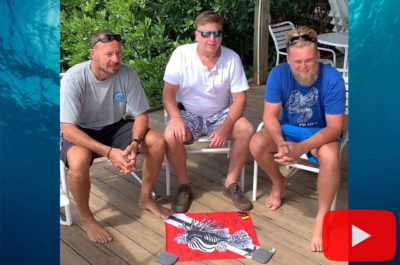 Recently Roger invited a field reporter for Lionfish university administrator Stacy frank about organizing a trip to educate Cubans to the benefit of eating lionfish and to help teach Cuban divers on how to spear, clean and eat the delicious Lionfish. 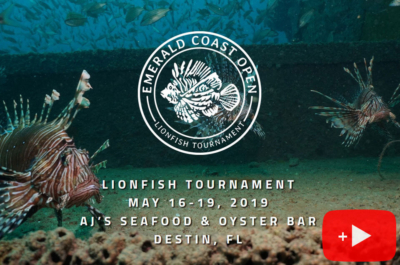 Anyone interested in Lionfish information, please contact Roger J. Muller at Roger@MullerInsurance.com.